I hear ya. It seems when the fishing season slows,others have nothing else to do but start some crap. I like most of the folks on WL but I'm getting really tired of the politics and havn't been going in as much.I'll explain more on that later. Our call volume has nearly doubled with"Flu like symptoms"
Most are nothing but I have had a few more serious calls. I see you and your boy were doing well at Tapps yesterday,nice job. I'm hoping to get up there more,even in this weather. I got some musky toys to play with but will be trying for winter smallies as well. Dude! Where you been? and what did you do with dilbert? I think I answered this but Mark called my attention to it again. I charge $5.00 for bass & walleye lures up to 5 inch plus shipping, Musky lures 6inch and over are $8.00 per lure. Plus shipping. Thanx for the compliment but the only thing I'm an expert at is BS'n. Yes, I've caught largemouth in Tapps. Not many but a couple have been good ones. I think they're going to come back better with the sustained water levels and weed growth. I do other frog patterns also but the one shown is a color changing pattern which I do a lot of. I also paint a very special effects paint that is Chrome ( not shiny silver) and I do it on plastic and wooden baits.. The ones in the picture are wooden baits. It takes a little longer due to the special application procedures I have to use to make it effective. I charge $ 8.00 per lure, whether it is a blank or used. Hooks and split rings must be removed before sending them, I do the rest. Most painters charge $10 or more. I like to keep it down abit for people. That would be awesome! 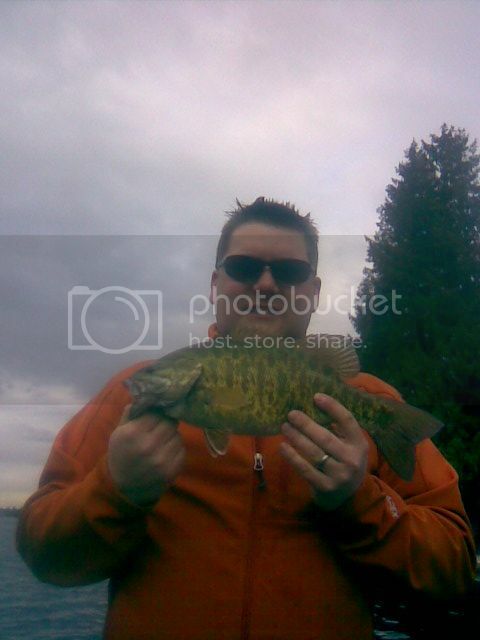 I've never fished tapps, but really want to start fish'n it for smallies. Haven't a clue of where to start. I'd love to get together once it's full enough to get on the lake. Thanks for joining Chris! By the way, I saw that you are a firefighter - what station? I have a buddy who works the Lake Tapps station - his name is Matt Jewitt. yea I have 2 friends!! Thanks 2000subaru!!! Your Grrreeaatt!! smallies. I was reading the USGS water level on Tapps and its filling up now but very slow.